労災事故Show posts in this category. 太もも～足先Show posts in this category. 死亡事故Show posts in this category. 肩（腱板損傷など）Show posts in this category. 脊髄・脊柱（圧迫骨折など）Show posts in this category. 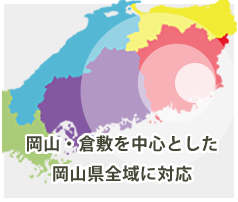 腰（腰椎捻挫など）Show posts in this category. 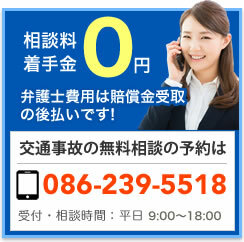 頭部（高次脳機能障害など）Show posts in this category. 顔（目・耳・鼻・口）Show posts in this category. 首（頸椎捻挫など）Show posts in this category. Copyright (C) 弁護士法人備前法律事務所 All Rights Reserved.